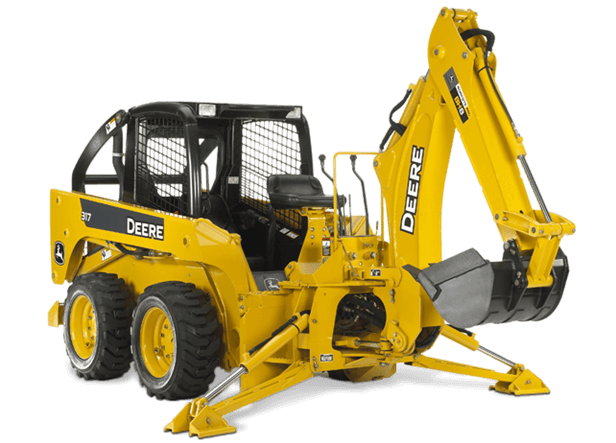 Worksite Pro backhoes are optimized to work with John Deere skid steers and compact track loaders. They're backed by a one-year warranty and one-of-a-kind parts and service. Powerful Worksite Pro backhoes offer a combination of productivity, ease of operation, and unmatched durability. The maximum digging depth on the BH9 is 117 inches (2972 mm).